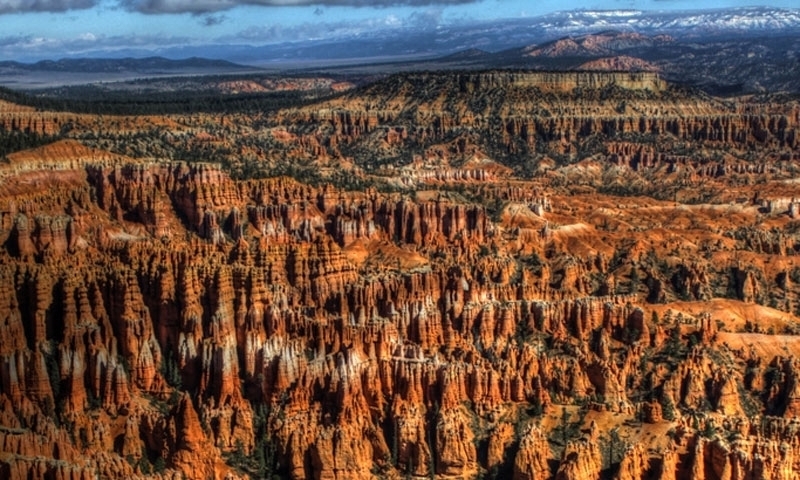 From the various viewpoints of Bryce Canyon National Park, visitors can observe hoodoos, deep amphitheaters and various shades of colored rock. At Fairview Point, visitors can see for hundreds of miles, taking in several of the geological landmarks Bryce Canyon has to offer. The Yovimpa View Point, offers a close look at the Grand Staircase’s uniquely colored rocks.